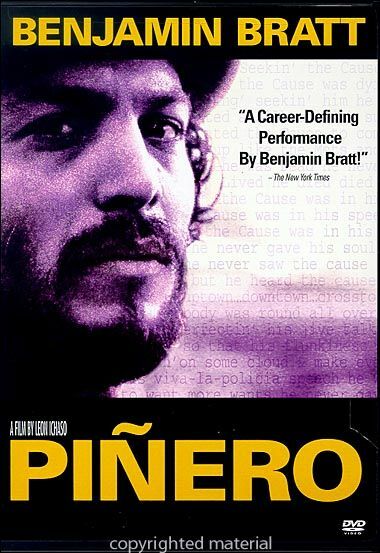 "Piñero" tells the story of the explosive life of a Latino icon, the poet-playwright-actor Miguel Piñero, whose urban poetry is recognized as a pre-cursor to rap and hip-hop. After doing time in hard-core Sing-Sing for petty thefts and drug dealing, Piñero's prison experiences developed into the 1974 Tony-nominated play Short Eyes. The resulting notoriety and fame was too much for the Latino bad-boy genius who retreated to the darker corners of New York City.